Mr Grayling said the franchise had failed because Stagecoach and Virgin Trains had “got their bid wrong”, overestimating the profitability of the line. That may help to solve some issues – for example, reducing the friction between the track operator, Network Rail and the train operator. He told the Commons that Stagecoach and Virgin have lost almost £200m, but there had not been a loss to taxpayers “at this time”. Shadow Chancellor, John McDonnell tweeted that he welcomed the move, which he said was implementing Labour’s Manifesto promise to renationalise the railways. Good to see Grayling implementing first stage of Labour’s Manifesto promise to renationalise the railways. I think I’m right in saying that he’s now nationalised more railways than any Labour minister in 6 decades. Come on Chris, East Coast line today, the whole system tomorrow. For a government wedded to the benefits of the private sector and to leaving the railways in the hands of private companies, today’s decision is a significant blow. It’s also further ammunition for a Corbyn Labour Party committed to renationalising the railways. Mr Grayling may protest that this is only a temporary measure – but it is still the third time in just over a decade that a private company has had to be stripped of the East Coast Main Line contract. And while memories of British Rail’s stale sandwiches may have faded – strikes, costly commuter fares, cramped carriages and failing companies are hardly likely to endear passengers to the current crop of private rail operators. 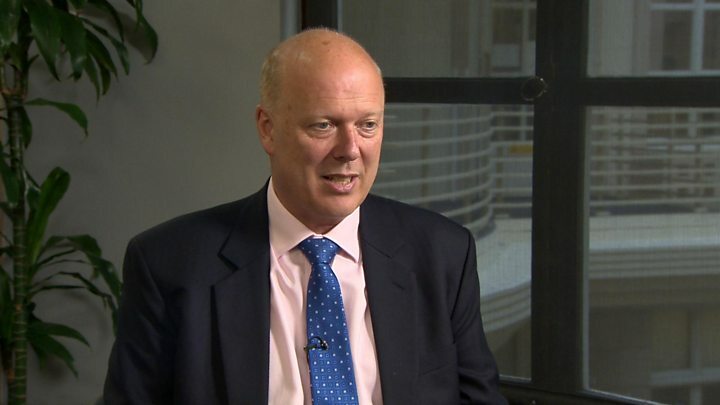 After looking into problems with the service, Mr Grayling said he was advised “that there is no suggestion of either malpractice or malicious intent in what has happened”. He added that the firms have paid a “high financial and reputational price” in relation to the East Coast route.